Leverage of U.S. Banks and Corporates, a graph. 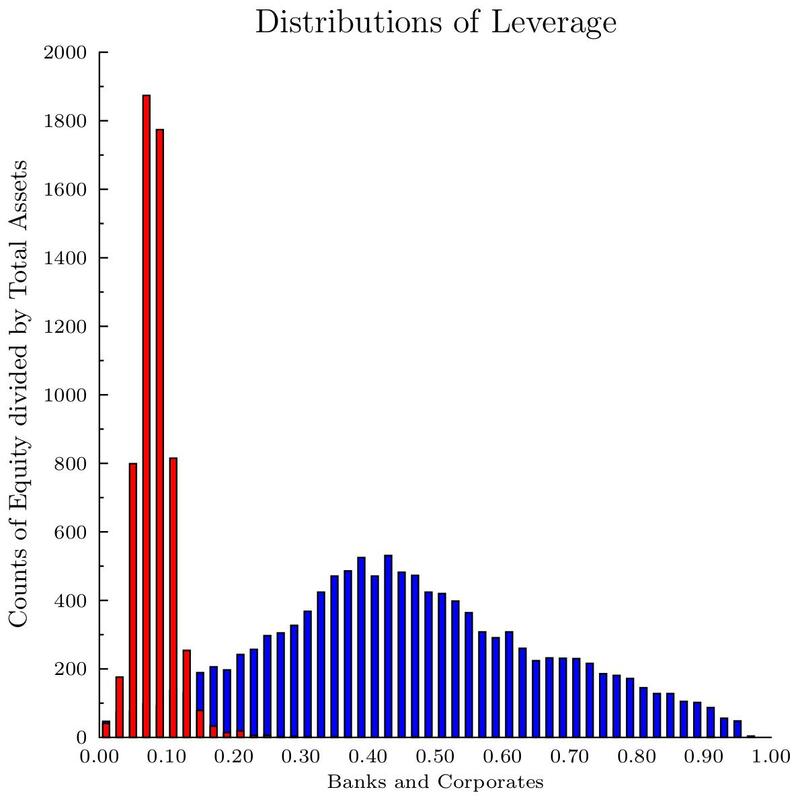 There is lots of talk going on about bank leverage. But how does it look? The plot below shows solvency ratios for U.S. banks (red) and U.S. corporates (blue). Note, these are observations for the U.S. over years 1985-2012. Solvency is defined as accounting equity divided by total assets. Graphs are made with GLE (Graphics Layout Engine), with data from Compustat. August 13, 2013 @cetier1Accounting for banks, Basel III, Compustat, GLE, Leverage ratio.